This page contains a wide variety of fantastic original songs written by our clients and arranged, recorded and mixed entirely in our studio. Selections were chosen to represent a variety of styles. Owner Steffen Presley is a multi-instrumentalist and was involved in different aspects of arranging, producing, instrument performance and engineering on all of these recordings. Cover songs are not included for copyright reasons. Songs are showcased on this site by permission from the copyright holders, who reserve all rights. These songs appear for demonstration only. Unauthorized use including redistribution is strictly prohibited. from upcoming album; Level 3 by 7 Mansions featuring Satina Warner (vocals). Electric guitar by Diz Butler. from the recently released album, Tangier Dream by Eric Walker. Synthesizers by Eric Walker and Steffen Presley. Voice-overs by Eric Walker, Anthony White and Song-Haven's Apple Macintosh computer. Produced, arranged, engineered and mixed by Steffen Presley. from the recently released album, Tangier Dream by Eric Walker. Synthesizers by Eric Walker and Steffen Presley. Produced, arranged, engineered and mixed by Steffen Presley. Lyrics by Glen Hoffman and music by Ron Krown. Keyboards, alto saxophone, drums, bass, electric guitar, synthesizers and all engineering by Steffen Presley. Vocals by Marc Bosserman. by Louise Mayhand. Arrangement by, and all instruments performed by Steffen Presley. Vocals by Endless Productions session vocalist Aja Kim. by Louise Mayhand. Arrangement by, and all instruments performed by Steffen Presley. Vocals by Endless Productions session vocalist Mondo Celaya. by Greg Hampton . Guitars and drums by Greg Hampton. All additional instruments performed by Steffen Presley. Greg is a highly successful record producer and songwriter with many name credits. For his own records, he comes to us! by Buddy Mix. From the recently released album Cloud 9. Co-produced by Steffen Presley. Vocals by Buddy Mix; keyboards, drums, bass, synthesizers and all engineering by Steffen Presley. Did You Make a Difference Video! by Sean Tiwanak. From the album Home To Me. Co-produced by Steffen Presley. Vocals and ukulele by Sean Tiwanak; Roland V-drums performance by Jimmi Patti; Keyboards, alto saxophone, bass and all engineering by Steffen Presley. by Sean Tiwanak. From the album Home To Me. Co-produced by Steffen Presley. Vocals and ukulele by Sean Tiwanak; Roland V-drums performance by Jimmi Patti; backing vocals by Lei Medeiros; keyboards, bass and all engineering by Steffen Presley. by Mondo Celaya. Arrangement by, and all instruments performed by Steffen Presley. Vocals by Mondo Celaya. Written for his daughter, Mondo's song is an excellent example of fine string arranging. Presto (3rd movement) by Antonio Vivaldi. Electric guitar performed by John Torre. Piano and drums performed by Steffen Presley. by Ruben Burciaga and his band, Azla, from the just released album Slang. Vocals, acoustic and electric guitars by Ruben; keyboards and engineering by Steffen Presley. by Louise Mayhand. Arrangement by, and all instruments performed by Steffen Presley. Vocals by session vocalist Marc Bosserman. keyboards by Brian, alto saxophone and engineering by Steffen Presley. 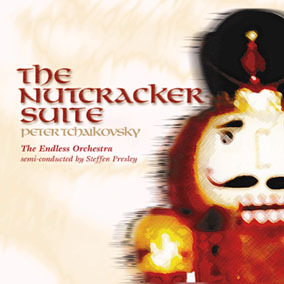 by Peter Tchaikovsky. All instruments super-authentically performed by Steffen Presley. This is an excellent example of super authentic, ultra-expressive and dynamic use of synthesizers. acoustic piano performed by Brian on our Falcone grand piano; engineering by Steffen Presley. by Keanu Tiwanak, for Pongo's restaurant in Hawaii. vocals and voice-over by Keanu, keyboards and production by Steffen Presley. Lyrics by Glen Hoffman and music by Ron Krown. Keyboards, alto saxophone, drums, bass, electric guitar, synthesizers and all engineering by Steffen Presley. Vocals by Endless Productions session vocalist Aja Kim. by David Christopher. Vocals and acoustic guitars by David Christopher; Violin performance by Mike; Roland V-drums performance by Robert Shavez; Lead acoustic guitar by Nick Fortino; Bass, percussion and engineering by Steffen Presley. by John Santoro. Vocals, acoustic and electric guitars by John Santoro. Roland V-drums performance by Jimmi Patti, Bass and engineering by Steffen Presley. by John Santoro. Vocals, harmonica, acoustic and electric guitars by John Santoro. Roland V-drums performance by Jimmi Patti, Hammond B3 organ, bass and engineering by Steffen Presley. by Robin Bealmear. Grand piano performance featuring our studio client Robin Bealmear. Engineered by Steffen Presley using world class microphones on our world class Falcone grand piano. Excerpt by Eddie Salcido. Vocals, piano, guitars and bass performed by Eddie Salcido. Drums and pedal-steel guitar simulation performed by Steffen Presley. by Milton Bowser . Arrangement for theatric presentation by Steffen Presley, inlcuding all band and orchestral instrument simulations performances. Excerpt by Ruben Burciaga and his band, Azla, featured on the album, Slang. Guitars by Ruben; keyboards by Steffen Presley;vocals by Mondo Celaya. by Milton Bowser. Arrangement by, and all instruments performed by Steffen Presley. Vocals by Milton Bowser. Very "visual" style! Excerpt by Eddie Salcido. Alto saxophone by Eddie Salcido. All additional instruments performed by Steffen Presley. Excerpt from electronica dance piece with featured piano, composed by Steffen Presley for Matt Hoffman. Synthesizers performed by Steffen Presley.